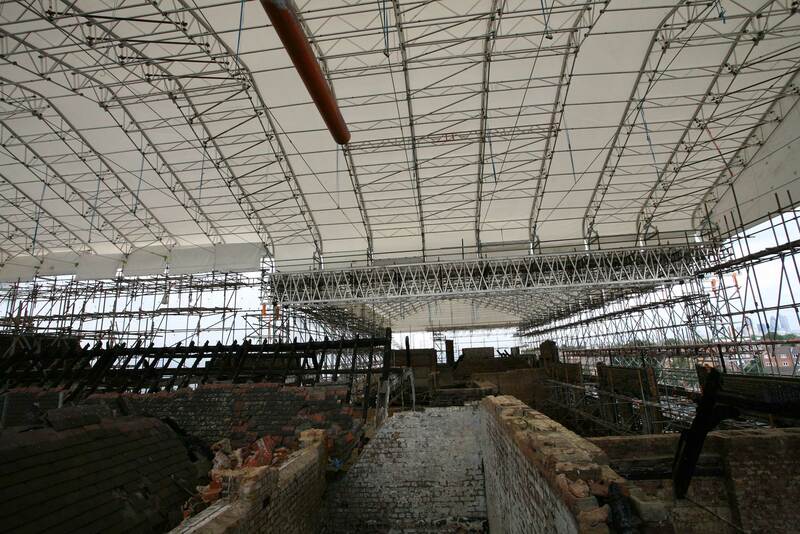 Haberdashers School, New Cross, London required a temporary roof cover following severe fire damage. TONE Scaffolding Services Ltd designed the tube and fitting support structure which included a huge buttress and impressive 1.5 m deep x 18 m span aluminium spine beam, supported by two Layher Allround Power towers. 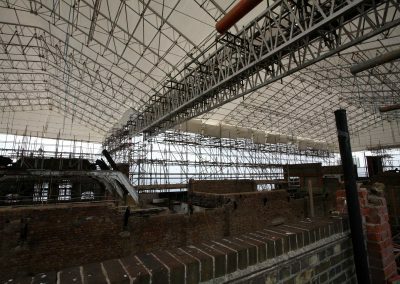 Andy Needham, Managing Director of TONE Scaffolding Services Ltd, decided upon the new Layher Keder XL roof due to the likely length of the contract seeing the temporary roof potentially having to support high snow and wind loads through the autumn and winter months. 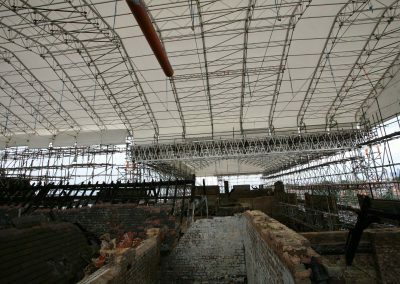 Additionally, the support scaffold and the Keder XL roof sit relatively higher than the last set of wall anchors, therefore a robust temporary roof solution was required. The Keder XL roof is strong, lightweight and utilises a unique tie chord tensioning system, which was required to restrain the roof forces from reacting against the support scaffold. 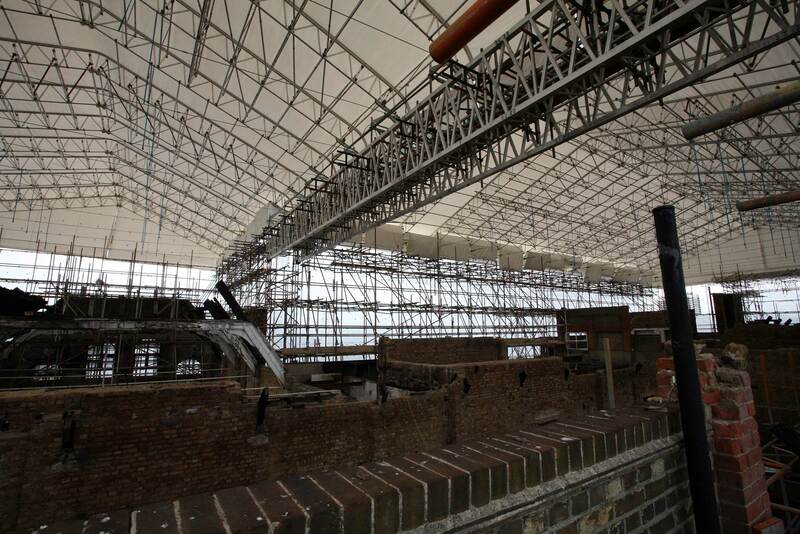 To date, this is the largest Keder XL roof erected in the UK and is in total some 1,600 m2 plus.